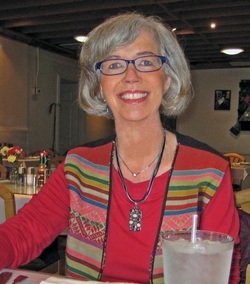 Christa Polkinhorn, originally from Switzerland, lives and works as writer and translator in Santa Monica, California. She divides her time between the United States and Switzerland and has strong ties to both countries. The tension and excitement this "double life" creates informs her work. Among her many interests, aside from writing, are traveling, studying foreign languages and cultures, drawing and painting, meeting people and forming friendships. A chance meeting between a middle-aged woman, a widower, and a semi-orphaned child in the city of Zurich, Switzerland, brings together three people who grapple with a past of loss and betrayal. Six-year-old Karla, whose mother died in a car crash, has a hard time accepting the loss. Anna, her aunt and guardian, struggles with her former husband’s deception and her shattered confidence in men, and Jonas, artist and teacher, mourns the death of his wife. While trying to help Karla, a talented but troubled child, Anna and Jonas develop feelings for each other that go beyond friendship. The budding romance, however, hits a snag when Anna discovers a sinister secret in Jonas’s past. While the two adults have come to an impasse, young Karla takes matters into her own hands. Together with a friend, she develops a plan to bring the two uncooperative adults back together. The plan, however, creates havoc and as it begins to unravel, Karla is forced to learn some difficult lessons. An Uncommon Family is a story about loss, lies, and betrayal but also about the healing power of love and forgiveness. It takes place in Switzerland, New York City, and Guadalajara, Mexico. Karla Bocelli’s early life is marred by death. At five years of age, she loses her mother in a car crash in Switzerland. Her father lives at the other end of the world and her aunt and guardian passed away the year before. Now, at age twenty-four, the young painter almost gets hit by a speeding car. As if this wasn’t fateful enough, the driver turns out to be a carver of tombstones. Andreas, however, is anything but morbid. Quick-tempered and intense, he exudes a rough-and-tumble energy. After an initial stormy encounter, Karla comes to see in Andreas the “rock in her life,” the perfect antidote to her fears of abandonment. Andreas, however, wrestles with his own ghosts of the past. Together, the two artists must confront the demons that haunt them. Turmoil reigns in the O’Reilly household. With her two older children, Laura and Tonio, grown and getting ready to fly the coop, Karla finds out she is pregnant again. Instead of devoting her time and energy to her painting career, she is forced to raise another child. Andreas, her husband, is looking forward to being a father once more, but realizes soon that the little bundle of joy, Emilia, instead of enhancing the relationship to his wife of over twenty years, intensifies the tension that has been building between them. While the parents are fighting each other, Laura and Tonio are trying to keep the peace. But more challenges wait in the wings: Andreas catches his son kissing another man in a more than friendly way, and Arturo, Karla’s Peruvian father, has a heart attack. While Karla is in Peru taking care of Arturo, Andreas gets a little too cozy with a young woman by the name of Susanna. Only when he almost loses Emilia does he come to his senses and embarks on a journey to try to keep his family together. 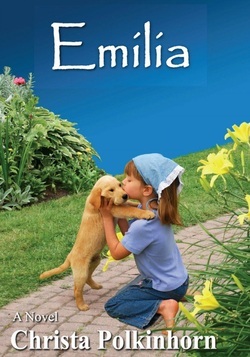 EMILIA, part three of the Family Portrait trilogy, deals with the struggle of a family of artists, who try to keep the flame of love and creativity alive through difficult times. It takes place in Switzerland, France, and Peru. A volume of poems which one reader called "clear-eyed and elegiac, with a cosmopolitan flavor. Path of Fire is full of unsentimental but emotionally charged poems about loneliness and family and searching the earth for a home."